Stainless steel high arc gooseneck faucet with smooth, single handle operation, swivel spout, and a beautiful, commercial satin finish to complement commercial finish sinks and appliances. Tall enough to fill large pots with ease. Faucet features aerated stream flow, and an easy to change ceramic disc value. Faucet is water saver rated at 2.2 USGPM. Freshly modern and value-driven, the Concetto single-handle pull-down spray head kitchen faucet combines a sleek gooseneck design with high-tech functionality. Clean in line and chicly spare, it measures 15-1/16 in. tall and features a 360-degree swivel spout with an 8-9/16-in. reach and a pull-down spray head. Equipped with locking spray control, the spray head transitions between two spray modesregular flow and spraywith a simple push of a button. GROHE SpeedClean technology protects the spray nozzles against limescale buildup. The lever handle benefits from GROHE SilkMove for a lifetime of smooth operation technology, which provides smooth and precise one-finger control of the water temperature and volume, and comes with variable positioning. SuperSteel InfinityFinish. 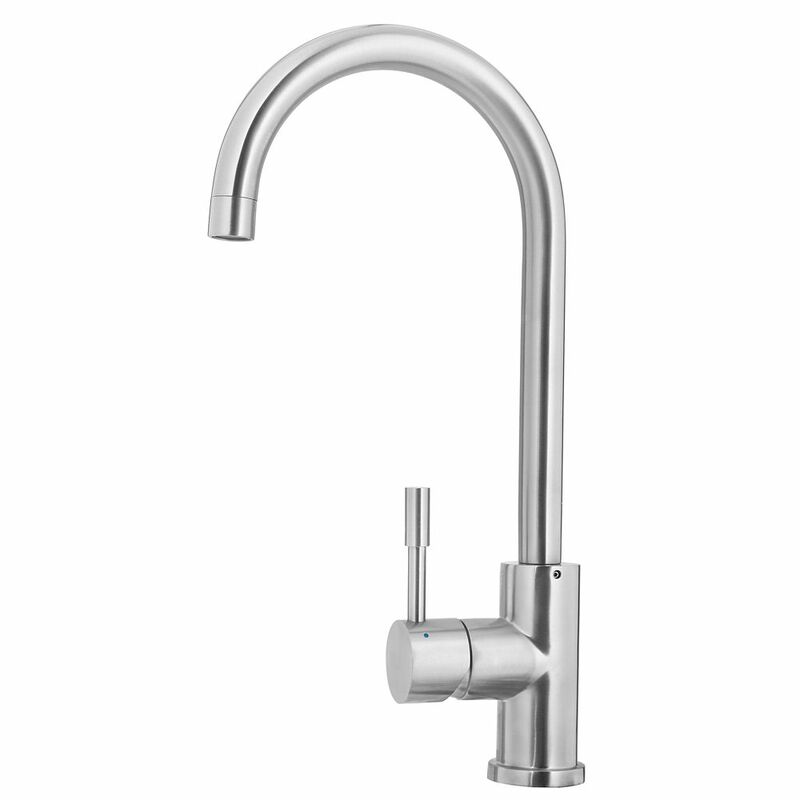 High Arc faucet Stainless steel high arc gooseneck faucet with smooth, single handle operation, swivel spout, and a beautiful, commercial satin finish to complement commercial finish sinks and appliances. Tall enough to fill large pots with ease. Faucet features aerated stream flow, and an easy to change ceramic disc value. Faucet is water saver rated at 2.2 USGPM.